YA Scavenger Hunt - Spring 2019! Welcome to YA Scavenger Hunt! This bi-annual event was first organized by author Colleen Houck as a way to give readers a chance to gain access to exclusive bonus material from their favorite authors...and a chance to win some awesome prizes! Can anyone say 20-100 YA books without salivating?? Not only do you get access to exclusive content at each author’s blog, but you also get a clue for the hunt. Add up the clues, and you can enter for our prize--one lucky winner will receive one book from each author on the hunt in my team! But play fast: this contest (and all the exclusive bonus material) will only be online for 120 hours — from 3pm EST on April 2 to 3pm EST April 7th! Go to the YA Scavenger Hunt page to find out all about the hunt. There are five contests going on simultaneously, and you can enter one or all! I am a part of TEAM GREEN--but there is also a red team, a blue team, a purple team, and a gold team for a chance to win a whole different set of books! And don’t forget! I’m hosting my OWN giveaway, and it’s open internationally anywhere The Book Depository ships for free! 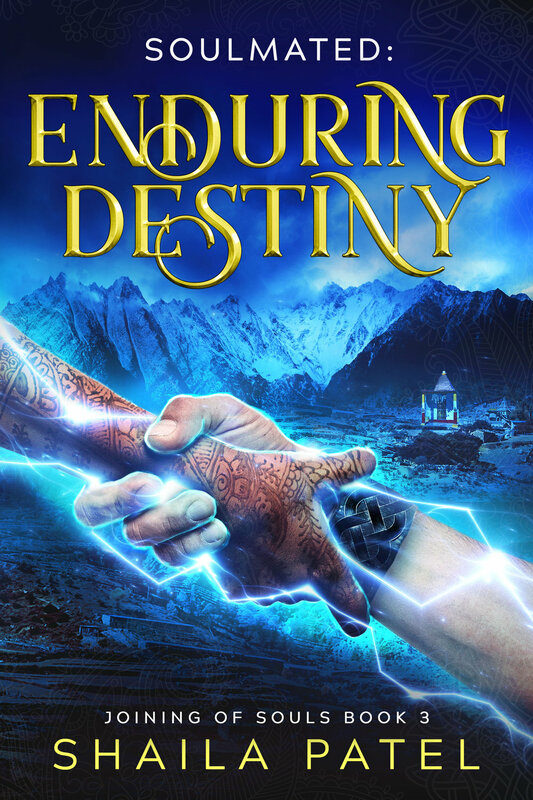 To win a copy of ENDURING DESTINY, Book 3 in the Joining of Souls Series, and other goodies—enter the Rafflecopter below. Directions: Somewhere below, you'll notice that I've listed my favorite number. 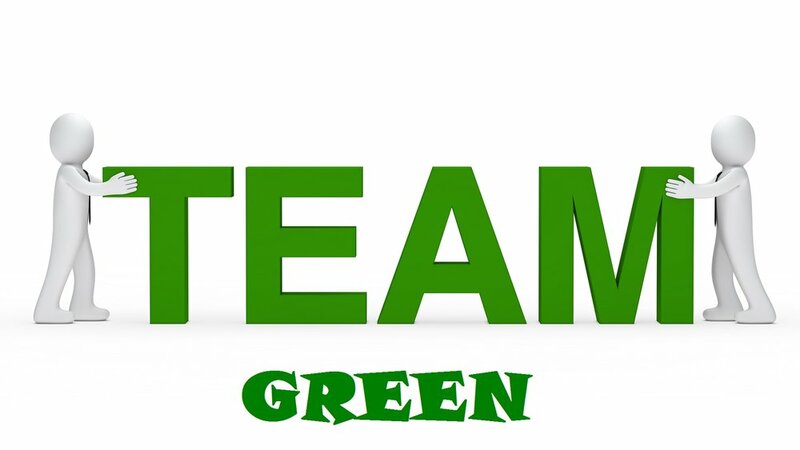 Collect the favorite numbers of ALL the authors on the GREEN team, and then add them up (don't worry, you can use a calculator!). You have until Sunday at noon Pacific time to complete the entry form. All entries must be turned in by this time to qualify. for the YA Scavenger Hunt! L.M. Preston, a native of Washington, DC. An avid reader, she loved to create poetry and short-stories as a young girl. She is an author, an engineer, a professor, a mother and a wife. “Excuse me?” Dex’s father responded, irritated. “Because it may help you get the answers you seek…for The Vigilant,” Detective Whalen whispered when he mentioned the last word. Dex almost didn’t catch it, but had leaned in to hear every bit of their conversation. Dex heard a slapping of hands and supposed they were shaking hands. GUESS WHAT? The kickoff of this year’s Spring YASH is also my COVER REVEAL FOR BOOK 3! Yay! To help me celebrate, I have an awesome prize (U.S. & Int’l). Enter my Rafflecopter below for your chance to win. 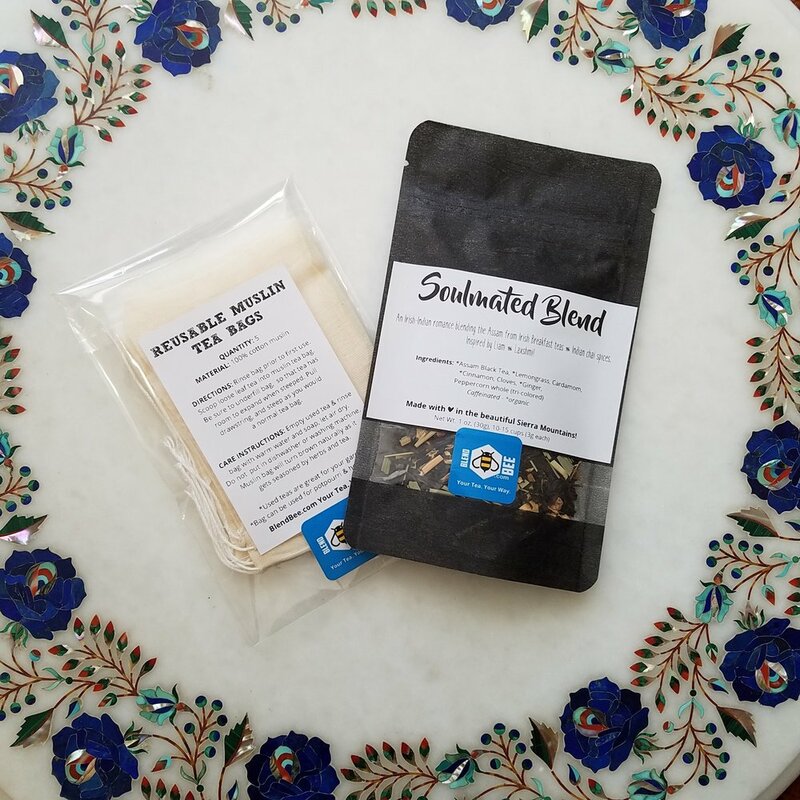 U.S. residents: a signed copy of Enduring Destiny, a $50 Amazon eGiftcard, AND a custom-blended tea inspired by the Soulmated series (Assam Irish Breakfast blend with Chai spices!). International: a paperback copy of the entire trilogy to anywhere the Book Depository ships for free! the Joining of Souls trilogy! Destined to be together--and to be torn apart. Soulmated empaths Liam Whelan and Laxshmi “Lucky” Kapadia fight against fate in the epic conclusion of the Soulmated trilogy. When a psychic vision comes true and rips Lucky away from Liam, he’ll scour the Earth in a race against time to get her back. From the verdant fields of Ireland to the vibrant streets of India, can their love endure a destiny thousands of years in the making? Also up for grabs is a $50 Amazon eGiftcard AND a custom blended tea inspired by SOULMATED! Enter the Rafflecopter below! ENTER THE YA SCAVENGER HUNT CONTEST! And don't forget to enter the contest for a chance to win twenty books: from me, L.M. Preston, and 18 others! To enter, you need to know that MY FAVORITE NUMBER IS ——> THREE. 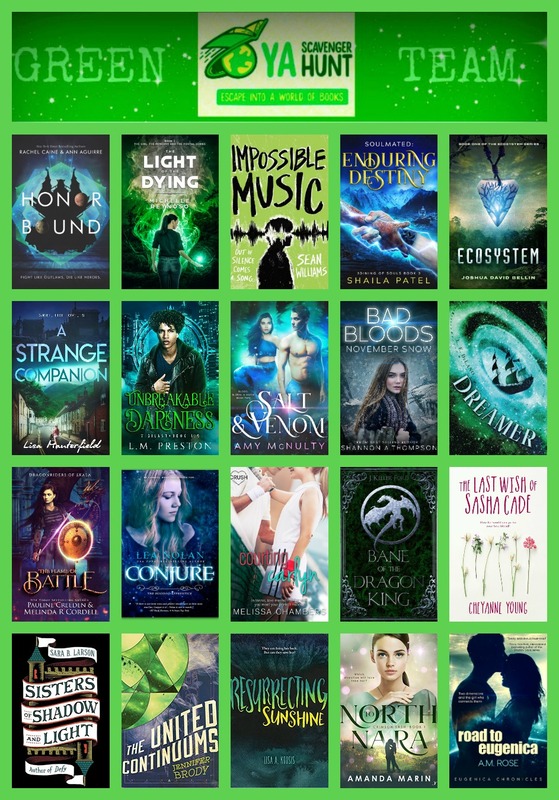 Add up all the favorite numbers of the authors on the GREEN team and you'll have all the secret code to enter for the grand prize! 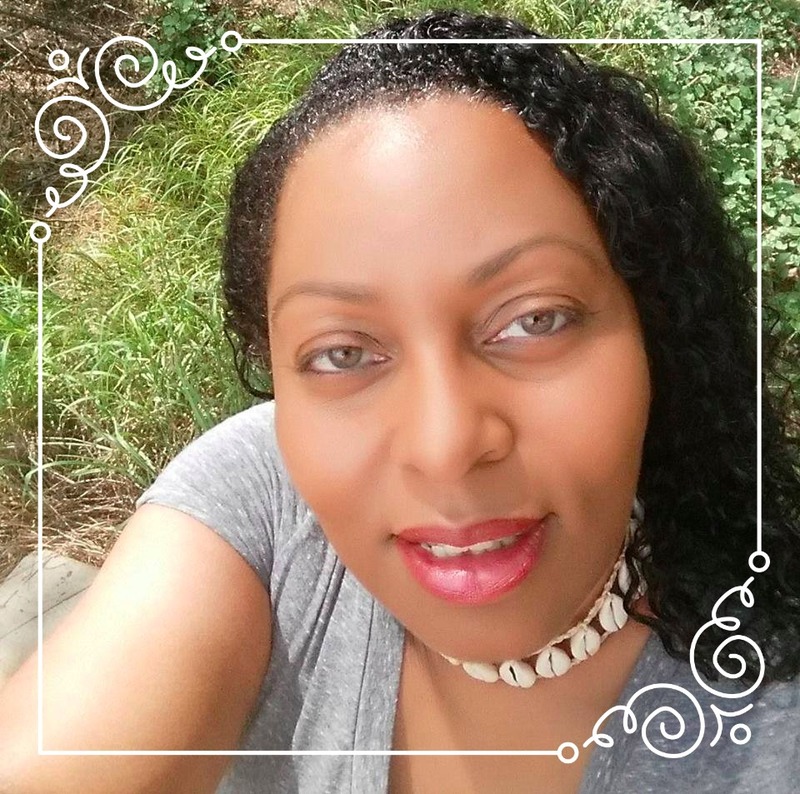 To keep going on your quest for the hunt, you need to check out the next author —> MICHELLE REYNOSO! Ends April 7, 2019 at 11:59pm EST. No purchase necessary. Void where prohibited by law. You must be at least 18 years old to enter or have your parents permission. The winner will be chosen by Rafflecopter and notified by email within 48 after the end of the giveaway. You will have 48 hours to respond, or a new winner will be chosen. All decisions are final. Odds of winning will vary based on the number of eligible entries received. If a mailed prize is returned for whatever reason, another winner will be chosen. Shaila Patel and the coordinators of YA Scavenger Hunt are not responsible for any lost, stolen, or misdirected prizes. You can use the Contact page of this website if you have any questions. This giveaway is not affiliated with any social media companies associated with Shaila Patel, Author, YASH, its coordinators, or any other entity unless specified. The above Rafflecopter prize is sponsored by Shaila Patel, Author and not affiliated with YASH.